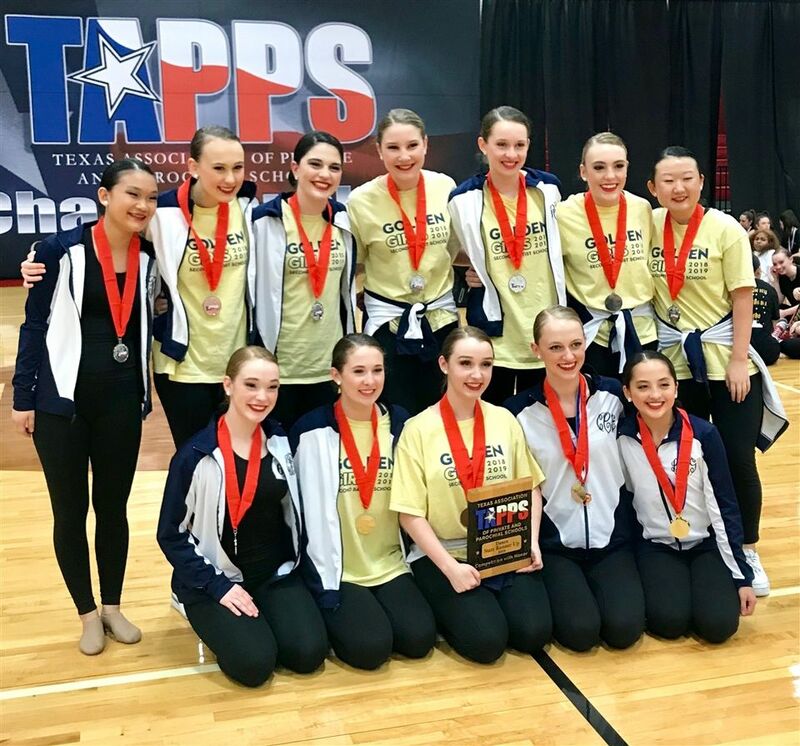 This past weekend, the SBS Golden Girls dance team competed in the TAPPS Spirit of Dance State Championship. The team finished second out of 13 teams in their division. In addition to their team title, three Golden Girls made the all-state team: Caroline Carlyle ‘20 (third team), Claire Bolling ‘19 (second team) and Lauryn Edwards ‘21 (first team). Click here to view photos from this year’s TAPPS Spirit of Dance State Championship.